PS4 system architect and Knack creator Mark Cerny is apparently in charge of finishing up the long-delayed PlayStation exclusive The Last Guardian. The suggestion comes from Just Add Water boss Stewart Gilray, who told the PS Nation podcast that the game was being completed by “a certain somebody’s software team. “And that certain somebody is the guy who helped out with the architecture of Vita and PS4. I’m lead to believe his team is now running Last Guardian to finish,” he said. As well as acting as lead architect on the PlayStation 4, Cerny is best known for working closely on Naughty Dog and Insomniac Games’ biggest titles, including Crash Bandicoot, Jak & Daxter, Uncharted and Ratchet & Clank. 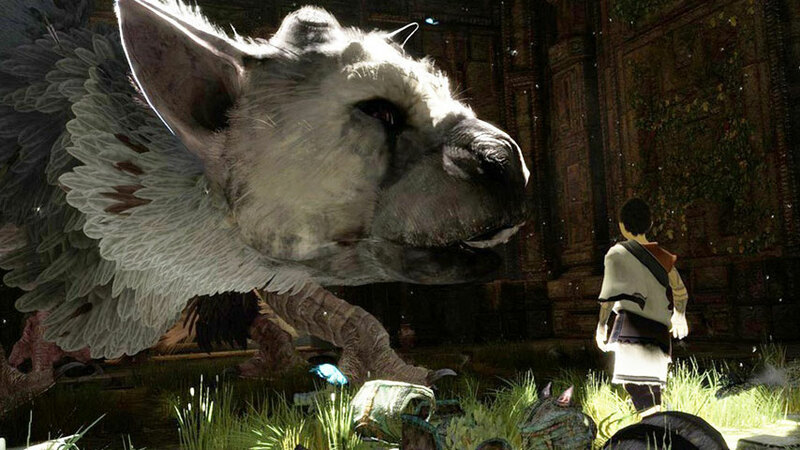 Original story: The Last Guardian is coming to E3 2015, apparently. It’s okay. I know you’ve been hurt before. The Last Guardian has been in the works since 2007, and we’ve haven’t seen a whisker of it since 2009. After five years of silence, we’ve just about given up reporting on rumours of it – but when The Guardian gets in on the action, including The Last Guardian in a list of most anticipated E3 reveals, it’s very hard to resist. “We have it on very good authority that this will be the year that Team Ico finally presents its follow-up to much loved classics Ico and Shadow of the Colossus,” the site said. The Last Guardian has had a rocky few years. Although Sony has repeatedly said the project won’t be abandoned, and that if it were we would hear about it, but did also say it wasn’t going to talk about the project until it was close to its final form. Team ICO Leader Fumito Ueda left Sony, although he stayed on The Last Guardian as a contractor. There were rumours that other Sony studios had been called in to try and help Team ICO push through publicly acknowledged technical difficulties. In the interim, the project has been significantly reworked. It now seems absolutely certain that The Last Guardian will be a PS4 game, meaning Team ICO skipped an entire console generation – assuming it ever releases. If it’s ever going to happen, this E3 – a few years on from the PS4’s launch, when the release slate looks a bit bare – seems ideal. You’ll notice Sony re-registered The Last Guardian’s trademark recently, too. You know, the whole saga is actually kind of ridiculous. No wonder you’re all so jaded. Some of you noticed that I didn’t include The Last Guardian in my list of games we definitely won’t see at E3 2015, and that’s because somewhere in my shrivelled little heart I still believe. Unlike The Guardian, I have no sources whatsoever to back up this feeling. But I believe.